You always hear about weddings from the bride’s perspective, but what about the groom? 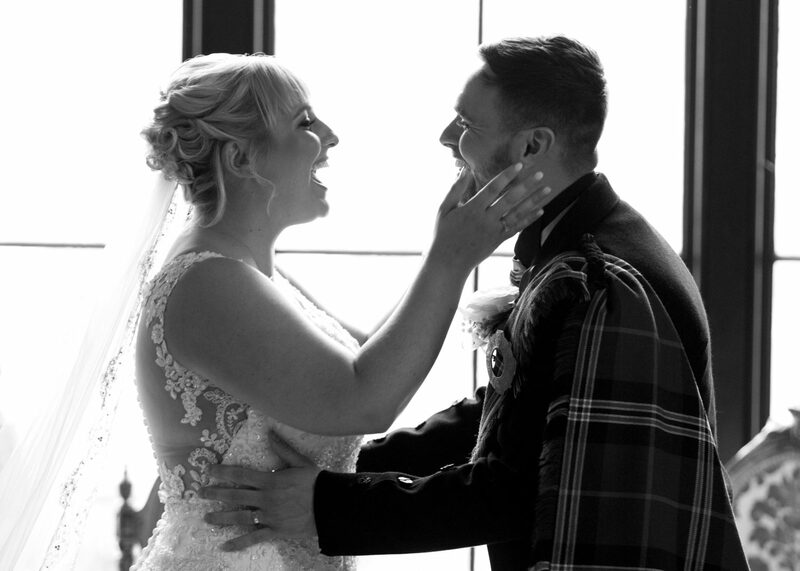 We spoke to one of our grooms, Jonathan, to hear his take on the wedding. We wanted to know if he was involved in the wedding planning, what it was like seeing his future bride walking down the aisle etc. So, without further ado, let’s dive in and see what goes through the mind of a groom in the lead up to his wedding. It took Jonathan nearly a year to save for the perfect ring. 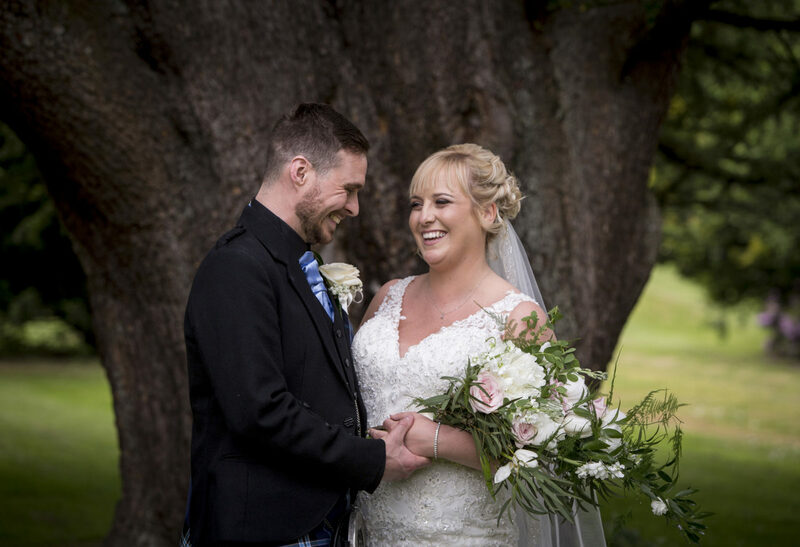 His partner, Linsey, hadn’t given him much indication, so he took a leap of faith and popped the question at Loch Lomond, on the beach just outside Cameron House. Thankfully, Linsey loved the ring, but more importantly, she said yes! Jonathan assured us that proposing was the easy bit… it was going to get a lot harder! 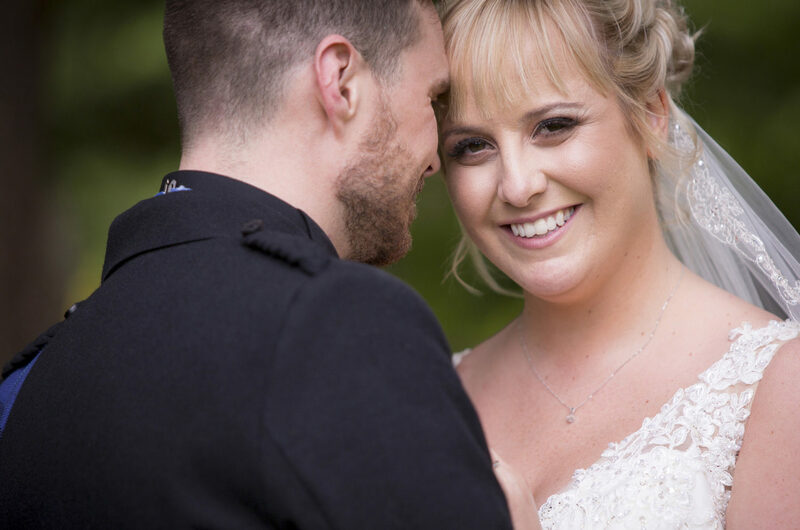 “I would like to say I helped a lot with the wedding planning… but when I look back, I probably didn’t help as much as I could have (I imagine most men would say the same! 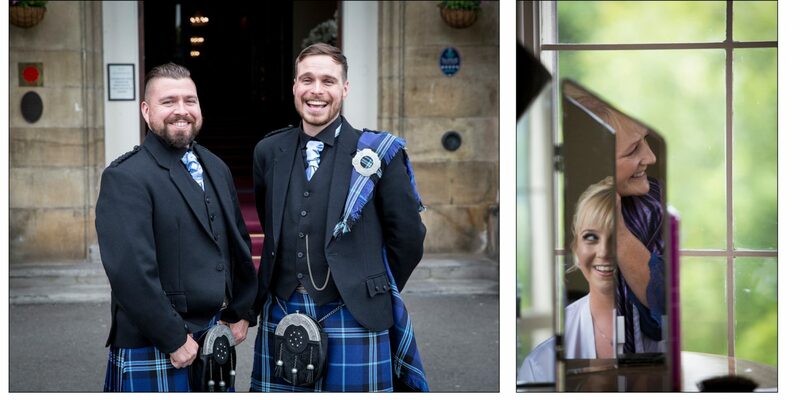 )” Leaving the decoration and planning of the wedding to Linsey, Jonathan’s role was mainly financial planning and trying to keep to the budget. Mar Hall saved the day ! 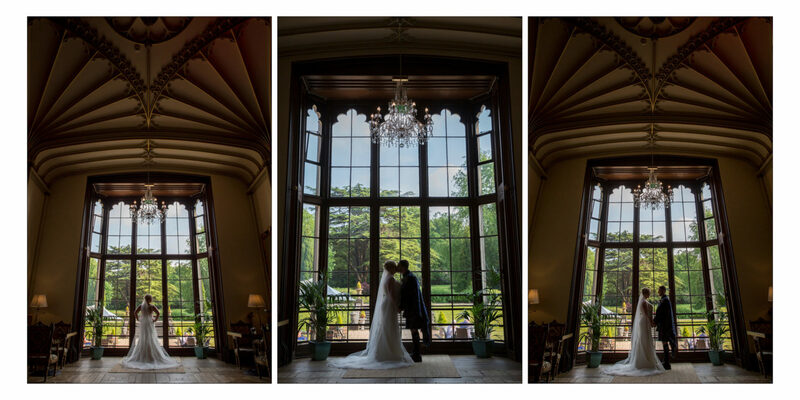 How did you choose the wedding venue? The venue was booked, the date was set, but unfortunately, as many of you will know, there was a tragic fire at Cameron House in December. 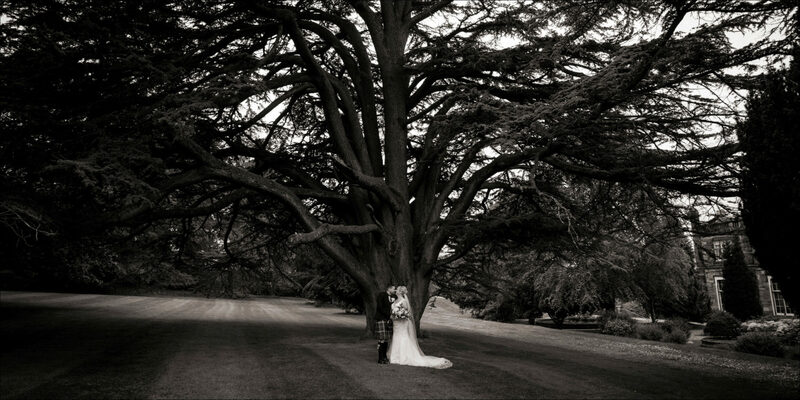 In the January, with only 5 months to go until the wedding, it was confirmed that they would need to find a new venue. 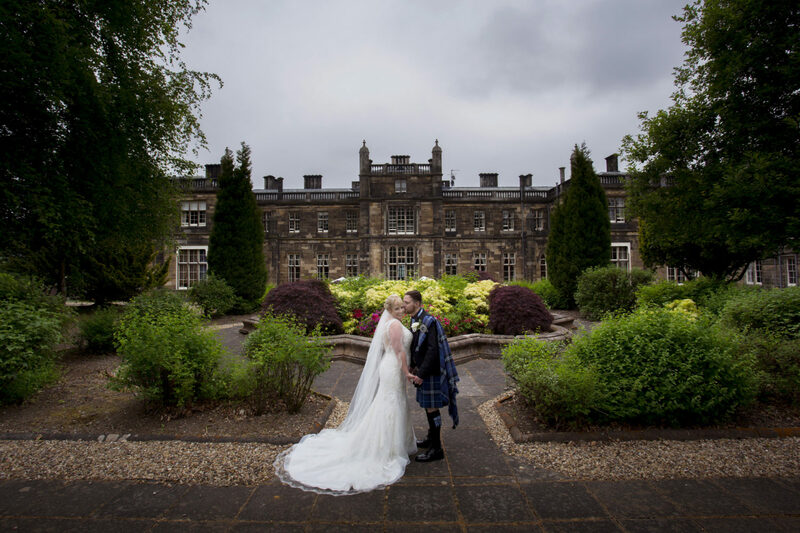 Cameron House were brilliant at putting them in touch with other venues and before long, they had chosen Mar Hall. And Mar Hall did not disappoint!! Why did you choose a small, intimate ceremony? 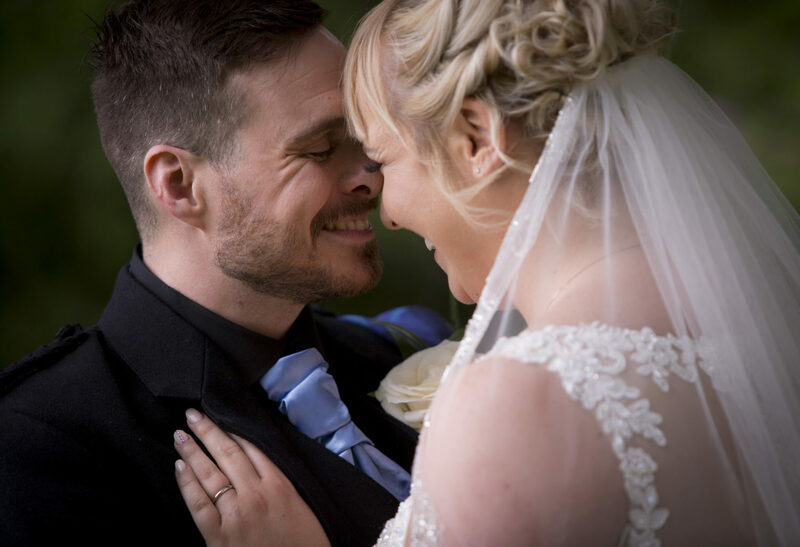 This worked perfectly for Jonathan and Linsey, as it meant they could have close family and the partners of the best man and maid of honour – it was definitely preferable to standing in front of a large crowd to tie the knot! After the ceremony, evening guests arrived for the party. Jonathan said it was simply jaw dropping to see how different it was having that many people arrive. It worked well though, because the evening guests didn’t have to hang around all day, but instead got to get dressed up and enjoy themselves at the evening party. Were there any ‘near disasters’? 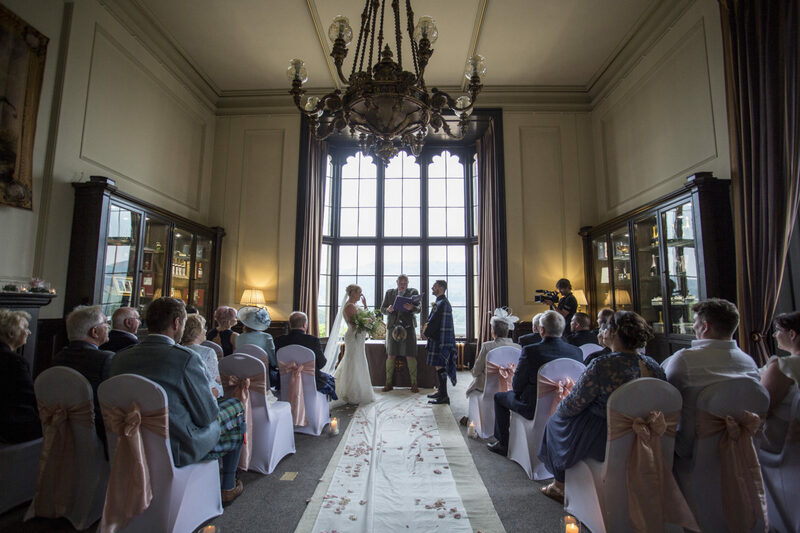 However, luckily for him, the staff at Mar Hall quickly came to the rescue, and told him that his future wife had made the ‘executive decision’ to bring the ribbons down the night before so they weren’t forgotten. With a massive sigh of relief, it all went well after that. What was it like seeing your future wife walking down the aisle? Now, let’s talk photography! What made you choose 1500 Photography? How was working 1500 Photography? Did you have any fears about the photography beforehand? After the wedding, how did you feel when you first saw the pictures? 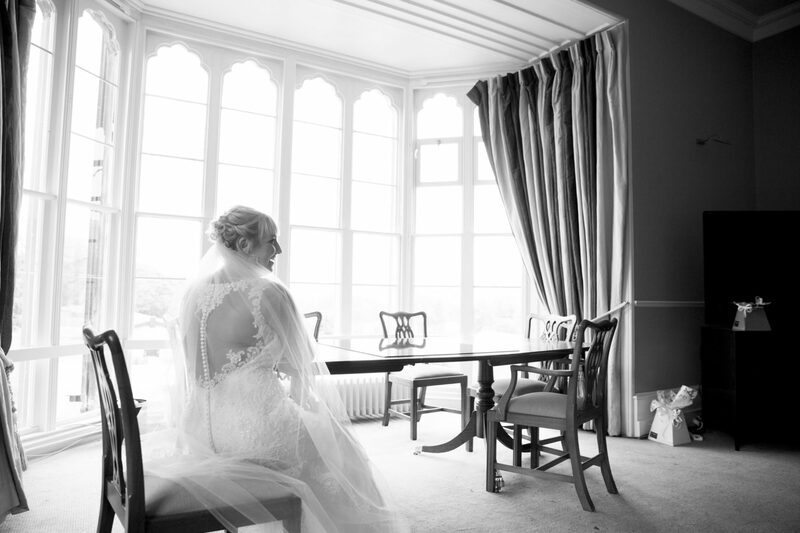 Looking back, what’s the most memorable part of your wedding day? Looks like a great wedding, loving your juicy colour edit! Really nice to be able to read in so much detail about their day, and what a great set of images they have too. Lovely work and so much joy! They’ll be super happy with these.